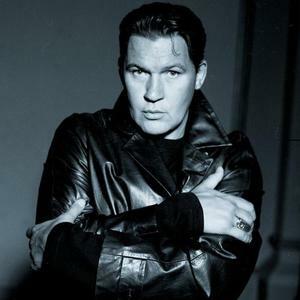 Johnny Logan (born Se?n Patrick Michael Sherrard, 13 May 1954), is an Irish singer and composer. Nicknamed by some "Mr Eurovision". Logan was born in Frankston near Melbourne, Australia. His father was an Irish tenor, Patrick O'Hagan, who performed three times at The White House, for John F. Kennedy, Lyndon B. Johnson, and Richard Nixon. The family moved back to Ireland when Johnny was aged three. He learned the guitar and began composing his own songs by the age of thirteen. On leaving school he apprenticed as an electrician, while performing in folk and blues clubs. Logan was born in Frankston near Melbourne, Australia. His father was an Irish tenor, Patrick O'Hagan, who performed three times at The White House, for John F. Kennedy, Lyndon B. Johnson, and Richard Nixon. The family moved back to Ireland when Johnny was aged three. He learned the guitar and began composing his own songs by the age of thirteen. On leaving school he apprenticed as an electrician, while performing in folk and blues clubs. His earliest claim to fame was starring as Adam in the 1977 Irish musical "Adam and Eve". Having adopted the stage name Johnny Logan, he released his first single in 1978 and took part in the Irish national final for the Eurovision Song Contest in 1979, but did not win. The following year, Logan entered the contest again with the Shay Healy song "What's Another Year" and won. Representing Ireland in the Netherlands, Logan won the Eurovision Song Contest on April 19. The song became a hit all over Europe and reached No.1 in the UK. Due to a mix-up, two follow up singles were released almost simultaneously; "Save Me" and "In London". With confusion by radio stations over which to play, both singles flopped. Another single released in late 1980, a cover of a recent [arist]Cliff Richard song, "Give A Little Bit More" was a more concerted effort and although it narrowly missed the chart, the momentum from Eurovision was now lost. Logan blames his lack of success in the UK on poor management and his inexperience. In early 1983, Logan attempted a comeback in the UK with the song "Becoming Electric" with a new sound and image and promotional push, but was unsuccessful and again in 1986 when he rebranded himself Logan with the song "Stab In The Back". In 1987, he decided to make another attempt at Eurovision and with his self-penned song "Hold Me Now", he represented Ireland at the Eurovision Song Contest in Belgium. The song won the contest and again, Logan had a major European hit with the song and reached No.2 in the UK (although it outsold "What's Another Year"). Keen to continue this success, Logan released a cover of the 10cc song "I'm Not In Love", produced by Paul Hardcastle as a follow-up, and an album. Both single and album made the UK charts but were not significant enough to sustain a continued chart career. The following year, Logan released his next single, "Heartland" which became a hit in the Irish charts and from then on, concentrated on his career in Ireland and Europe. Having composed the Irish 1984 Eurovision Song Contest entry for Linda Martin, "Terminal 3" (which came 2nd), Logan repeated the collaboration in 1992 when he gave Martin another of his songs, "Why Me". The song became the Irish entry at the finals in Sweden. The song took the title and cemented Logan as the most successful artist in Eurovision history with three wins. Author and historian John Kennedy O'Connor notes in his book The Eurovision Song Contest - The Official History that Logan is the only lead singer to have sung two winning entries and one of only five authors/composers (all men) to have written/composed two winning songs. He is sometimes referred to as "Mister Eurovision" by fans of the contest and the media at large. "Hold Me Now" has been adopted by fans of Bohemian FC as their anthem and it is sung primarily at away games. He mentioned on "TTV" on RT? that he was considering writing a song for Ireland in the 2010 Eurovision. "Hold Me Now" was voted as the 3rd most popular song in Eurovision history at the 50th anniversary concert in Copenhagen, Denmark in October 2005. "What's Another Year?" was also nominated amongst the 14 finalists. It has sold over 3 million copies worldwide. "Hold Me Now" is also a global million-seller. Throughout his career, which spans four decades, Logan has issued no less than 40 singles and 19 albums. He has continued his love of participating in musical theatre, having toured Norway with Which Witch, an opera-musical originating in that country. In 2002 Logan took part in the UK TV Quiz show Never Mind The Buzzcocks as a team panelist in a Eurovision-special. Logan continues to perform and write songs. In 2007 he advertised McDonald's Eurosaver menu in Ireland. In 2007 he sang "A State of Happiness", advertising the Dutch Center Parcs. In 2009 he performed in the Celtic rock opera Excalibur. Logan lives in Ashbourne, County Meath, Ireland.